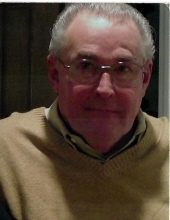 BEVERLY - Charles E. Czarnecki, 80, of Beverly, formerly of Lynn and Jersey City, NJ, passed away Wednesday morning January 23, 2019 at Beverly Hospital in Beverly. He was the beloved husband of Loralee (Campbell) Czarnecki. Born in Jersey City, NJ he was the son of the late Louise (Wood) Ladetto. Charles was raised and educated in Lynn and was a graduate of Lynn English High School. He continued his education by graduating from North Shore Community College with a degree in Engineering. An honorable discharged veteran, he served his country as a member of the United State Navy. He was stationed aboard the USS Salem as a Boatswain Third Class in the Mediterrean until his discharge in 1961. Mr. Czarnecki had been employed as an Engineer for local companies on the north shore for many years. He was also employed at Textron for many years prior to his retirement. Charles and his wife Loralee enjoyed living in Derry, NH for ten years prior to moving back to Beverly. He was also a member of the Knights of Columbus. In addition to his wife, with whom he shared fifty-two years of marriage, he is survived by one sister, Janice Russell and her husband Allyn of Peabody; two brothers, Donald Czarnecki of Beverly and Henry Czarnecki and his wife Dianna of Lynn; his beloved dog, Duke and many nieces and nephews. He was also the brother of the late Thomas Czarnecki. To send flowers or a remembrance gift to the family of Charles E. Czarnecki, please visit our Tribute Store. "Email Address" would like to share the life celebration of Charles E. Czarnecki. Click on the "link" to go to share a favorite memory or leave a condolence message for the family.